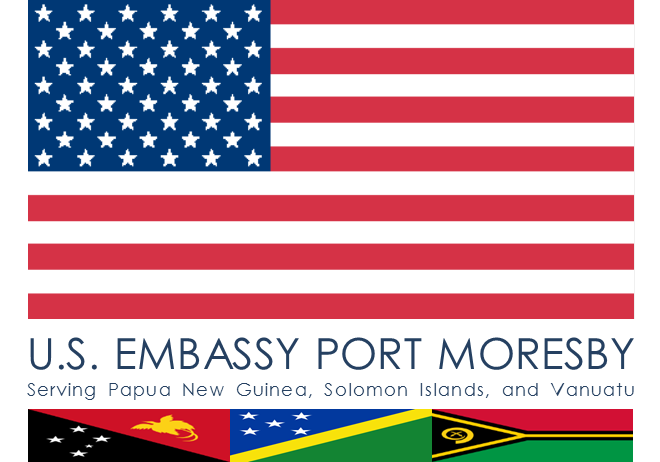 Port Moresby, Papua New Guinea: U.S. Ambassador Ebert-Gray announced today that the U.S. Agency for International Development’s (USAID) Office of Foreign Disaster Assistance (OFDA) has awarded $50,000 to the International Organization for Migration (IOM) for disaster assistance relief in response to the immediate needs of the people in Papua New Guinea (PNG) as a result of the recent flooding disaster. Intense seasonal rains in February 2016 resulted in periods of sustained flooding. Ambassador Ebert-Gray therefore determined that the disaster is of sufficient magnitude to warrant U.S. Government assistance. The impact of the 2015/2016 El Niño is affecting vulnerable communities, resulting in significant water, sanitation, and hygiene (WASH) risks. The funding provided to IOM will be for the distribution of non-food items and WASH support. The heavy seasonal rains in February caused flooding in PNG’s Jiwaka, Morobe, and Oro provinces, which resulted in widespread damage to homes and crops and restricted access to safe drinking water and adequate WASH facilities. International media reported in March that floods and landslides had affected an estimated 2,000 people. From mid-2015 to early 2016, parts of PNG experienced El Niño-related drought conditions that severely impacted food production and access to safe drinking water throughout the country. While rain during February helped fill waterways and replenished a portion of subsistence crops, flooding and landslides throughout the mountainous Highlands areas and in Eastern Coastal provinces exacerbated vulnerabilities resulting from the year-long drought. The recent floods intensified food needs, causing further damage to crops already severely affected by drought. The floods reduced water availability due to erosion and mud and contributed to low yields of staple crops, such as cassava and sweet potatoes. Additionally, drought-related disease and malnutrition have prevented Papua New Guineans from tending crops following the recent rains, according to the IOM. Remoteness poses additional challenges for communities in PNG’s Highlands, which lack access to markets and transportation, making it difficult to procure food or water from outside sources and impairing the ability of relief actors to provide humanitarian assistance. Flooding and landslides have also damaged bridges and roads needed to access the highlands. The Government of Papua New Guinea continues to lead the flood response. However, the year-long drought has depleted government resources and response capacity, and authorities lack supplies to respond to the needs of flood-affected communities. With USAID/OFDA support and in partnership with the Government of Papua New Guinea, IOM established field offices in Enga and Jiwaka provinces to identify and respond to the needs of drought-affected communities. IOM also conducted WASH trainings and distributed hygiene kits containing water containers and soap to approximately 2,000 people as of March 2016. IOM will continue conducting flood response operations from its field offices. The U.S. Government continues to work closely with the Government of Papua New Guinea and non-governmental organizations like IOM to deliver relief assistance and to identify the most effective ways to immediately help those people affected by the impact of the El Niño event. The U.S. Government wishes to express its ongoing support and assistance to the people of PNG who have been affected by El Niño.